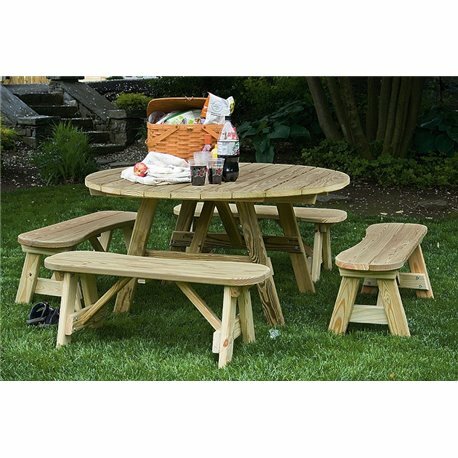 Round picnic tables are a great way to put outdoor dining in an area where a standard picnic table may not fit! The benches are curved with rounded edges to allow for a super comfortable seat! With seating of up to 8 adults there is no reason not to enjoy outdoor dining with your family and friends!